Automate daily tasks of your financial workflow and record less things manually. Connect Bkper to Apps you already use, like Google Sheets, Google Drive or Payment platforms like Stripe and Paypal with Zapier, saving you tons of time on recording sales or invoicing. Use Google Sheets to extend Bkper features, import/export data and run custom formulas. The Bkper Spreadsheets Add-on lets you quickly record your transactions and fetch data from Bkper into your Google Spreadsheet to centralize financial data and easily create accounting and financial statements. See how to do it. Record images, pdfs and import OFX dropped into a Google Drive Folder. See how to do it. Use Google Forms to customize the way users record on your Bkper books. With Bkper Google Forms Add-on you can customize the way you, or your user, records data in your books, by specifying fields and validation rules. 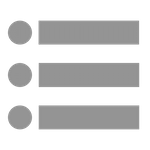 Each form submission can generate records in one or many books. See how to do it. Automate document generations and business workflows right from the Google Cloud. You can generate invoices and automatically record the transaction on Bkper. Similarly, you can automatically generate a receipt and record it as a transaction as soon as customer pays you. See how to do it. Integrate Bkper with hundreds of complementary apps like Paypal, Stripe, Invoice Ninja, Slack, Trello, etc. See how to do it. Easy integrate with Brazilian financial solutions such as PagSeguro, Boleto Simples, NFe-io, Iugu, Moip, Pagar.me, MercadoPago, etc. See how to do it. Context menu integrations are used to call other sites and services directly from within bkper's web interface, in the context of current query and book. See how to do it. 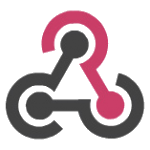 Incoming Webhooks are a simple way to record transactions from external sources into Bkper. See how to do it. Outgoing Webhooks allow you to listen for triggers when a transaction is posted, which will then send relevant data to external URL(s) in real-time. The Outgoing Webhook will only be triggered when the transactions are confirmed. See how to do it. If you are using an Add-on for the very first time, you must authorize the interaction between G Suite and Bkper. See how to do it.